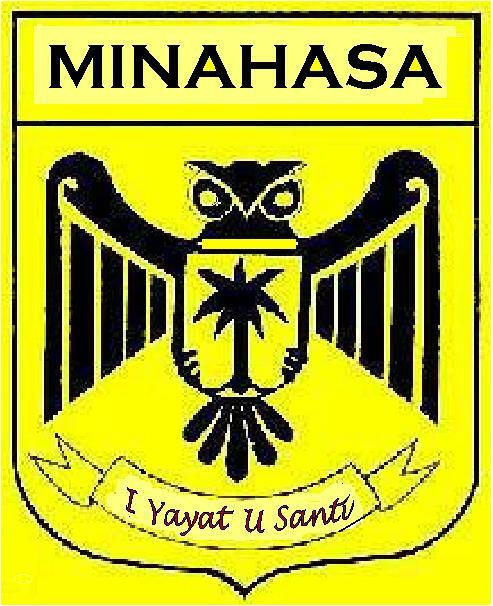 "man lives to educate others"
Minahasa is a regency within the province of North Sulawesi (North Celebes), Indonesia. Tou is a Minahasan vernacular for the word man, timou is to live, tumou has an implicative meaning of to grow, to develop, to tend and to educate. Thus the motto: "SI TOU TIMOU TUMOU TOU" is here simply translated as: "man lives to educate others". For brevity, this motto sometimes is shortened as either TUMOU TOU or TIMOU TOU. In this context, TUMOU TOU takes the meaning of HUMAN RESOURCE DEVELOPMENT. This old Minahasan life philosophy was frequently quoted by the late Dr. G S S J Ratu-Langie (or Dr. Sam Ratulangi), 1890-1949), Minahasan philosopher, educator and an Indonesian national hero. As this homepage is dedicated to education, its content is in the context of education and training as well as the development of culture, science and technology. It is thus primarily aimed at the development of human resource of Minahasa in particular and North Sulawesi in broader sense, and Indonesia in general. This homepage also serves to facilitate communication among scientists, managers and those who have profound interest in developing human resource in the Minahasa region. Beside links to relevant topics here we accommodate research reports, articles and papers concerning cultural and technical aspects of regional planning and development, management and science & technology.